After God, Shakespeare created most, James Joyce wrote in Ulysses. 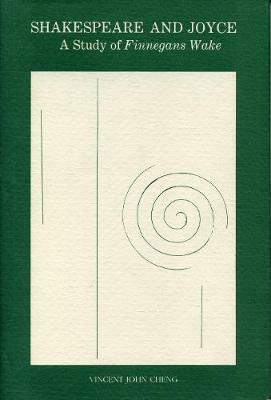 The importance of Shakespeare in Ulysses has been often discussed and documented; that this royal bard is as central and omnipresent in Finnegans Wake has been roundly agreed upon by Joyce scholars, yet no printed volume has exhaustively investigated the topic. This study arrives, therefore, as a welcome and timely look into the assertion, as on critic put it, that "Finnegans Wake is about Shakespeare. ""Throughout his life," Dr. Cheng writes, "Joyce was in the habit of comparing himself to England's national poet." In the Wake, Shakespeare his life, his plays and his characters forms a "dense and extensive matrix of allusion." Part I of this book provides a critical and interpretative view of how Shakespearean influences and allusions illuminate the themes and meanings of the Wake; the chapters are arranged to follow general patterns of allusion and motif. Part II comprises explications of a thousand Shakespearean allusions in Finnegans Wake, recorded by page and line of the novel. Finally, Part III is a set of appendixes which list the Shakespearean allusions by play, act, scene, and line for easy reference."